Chris sets sail in the sumptuous oil painting that is Abandon Ship. FTL meets Sunless Sea! That was my reaction when viewing the trailer for Fireblade Software’s Abandon Ship. It promised a beautiful procedurally-generated world to explore, and tense real time tactical ship to ship combat. As far as concepts go, that’s a pretty damn compelling one. The setup for Abandon Ship is extremely evocative. Striking art depicts an occult gathering, the summoning of a horror from the deep, and the promise of imminent human sacrifice. It is during this ritual you make your escape, and with the help of a few freed prisoners, steal a ship. This is a great start to a seafaring epic to be sure, but it’s not long before it all starts to take on water. After the intro, you are immediately becalmed with a bland and at best purely functional tutorial, and just like that, all the atmosphere and tension from the intro is immediately sucked from the game. Even the gorgeous overworld map you move to after the tutorial section can only do so much to bring you back into the game world. Still, it is early days in the game's development, so I will let this pass for now. One thing I do like is how the maps are presented; their hand-painted aesthetic and rich colour palette create a rather stunning game world to explore. However, while they are beautiful to look at, there is not a lot to do in them currently – there's just some pretty islands and a whole lot of empty ocean. To its credit, Fireblade has already promised to add a lot of additional locations, events, and conflicts to the game's exploration system, so hopefully we will see some welcome additions very soon. Unfortunately, combat has an entirely different problem that will require a lot more finesse to get it back on tack. For anyone who has played FTL, Abandon Ship’s combat mechanics will be very familiar: your crew, who are diminutive in number, must be assigned to parts of the ship for them to operate. If you need your cannons, they must be manned. If you wish to move, then you must have a crew member at the wheel, and so on. This means that when part of your ship is damaged, crew may need to be pulled from their assigned station to repair it, or to address some other immediate threat. Each crew member has specific affinities for certain tasks that make them more effective at, say, navigation, but they can also be injured or killed, adding another tactical complication to the whole mess. When a game so obviously borrows from another respected title it really needs to deliver the goods, and sadly, at this stage the combat in Abandon Ship fails to capture any of the FTL magic, despite adhering so closely to its formula. FTL’s combat works so well because the game’s presentation compliments the combat mechanics. Its clean visuals and sparse but precisely executed sound design give you all the information you need at a glance, or via clear audio cues. When a ship is damaged, you hear it happen, see the impact and damage caused, and feel the panic as a system goes offline, or as atmosphere begins to vent, threatening the lives of your crew. 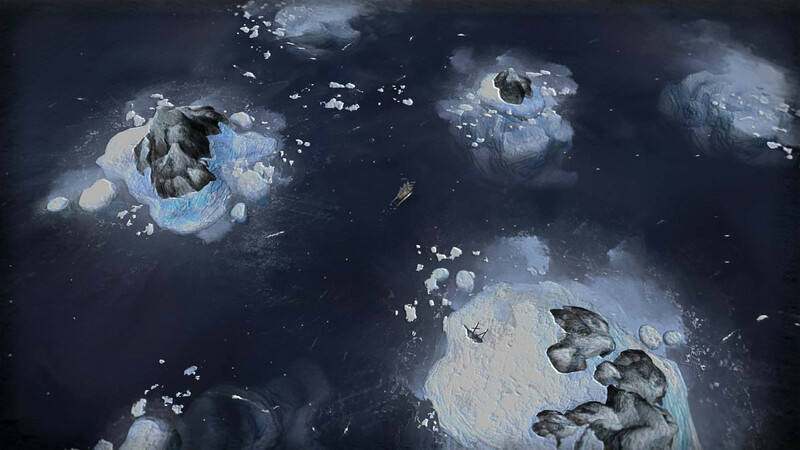 You react to the situation as it happens to your ship, and your crew. You’re not taken out of the simulation at any point. 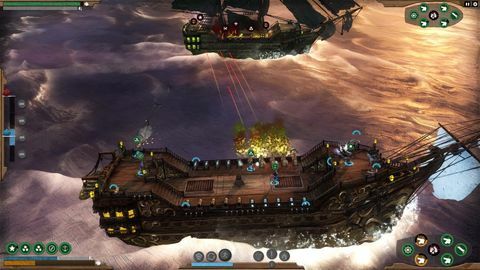 Abandon Ship is far more complex graphically, but has not adjusted the combat game loop to accommodate this complexity. As a result, the combat screen is overly cluttered, and the player needs to rely on other indicators to discern what’s happening. The frantic crew and system management is all here, but it’s all abstract meter management, and so never captures the feeling of an actual conflict. Visual cues on the ships are far too subdued, impacts lack punch, and the sound design is too busy to provide the much needed clarity to verify the brutal impact of heavy iron exploding through a wooden hull. That means combat constantly fails to deliver the kinetic ferocity of a black powder and cold iron high seas battle. Not even the appearance of a Kraken livens up the combat experience. For all of its frantic activity, the combat is boring. So, it is very hard to recommend Abandon Ship to anyone at this time. There is the beginning of a great game here, but even writhing tentacles and swallowed seamen can’t rescue this vessel from the doldrums. From a performance standpoint it's all smooth sailing, but you're better off hanging on to your loot until there is more to plunder on these high seas. 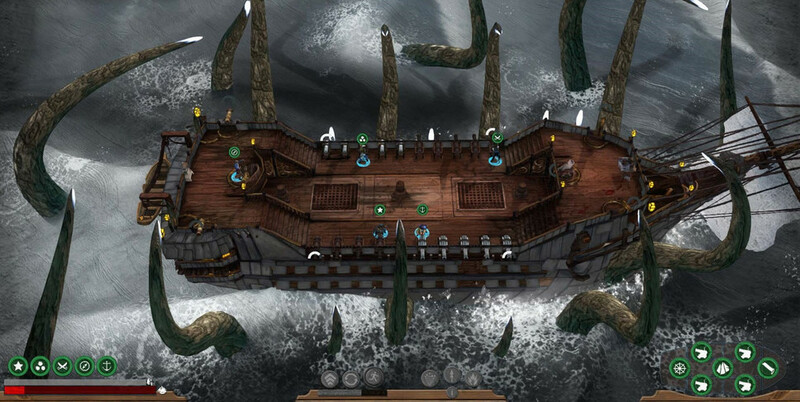 ◆ Abandon Ship is available now via Steam Early Access.